www.uk-car-discount.co.uk In Stock Citroen Picassos. Save £5,560 on Brand New Un-Registered Citroen Picassos. These Savings Previously Only Available On Pre-Registered vehicles but these are Not Pre Registered So You Will Be The 1st Registered Keeper. V5 in your name immediately. Stock vehicles for immediate FREE Delivery. Prices quoted include 12 months RFL, 1st Registration Fee, Metallic Paint all Included and yes FREE Delivery to your home or place of work. All colours available call to secure your vehicle for delivery on the 55 Plate. All Vehicles UK dealer supplied with 3 year manufacturers warranty. 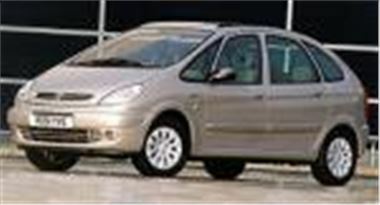 Brand New Unregistered Xsara Picassos Available in Arctic Steel, Med Blue, Sahara Gold and Wicked Red. All Other Colours To Order.